McKimmon Conference & Training Center, 1101 Gorman St. 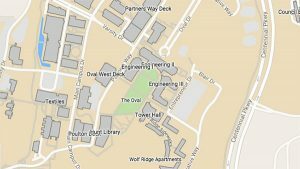 The fall NC State Engineering Career Fair will be held Tuesday, September 17 through Wednesday, September 18, 2019, at the McKimmon Center from 9:30 a.m. to 4 p.m. The spring NC State Engineering Career Fair will be held Wednesday, February 5, 2020, at the McKimmon Center from 9:30 a.m. to 4 p.m.